someone not important has contributed to 894 posts out of 468602 total posts (.19%) in 4,247 days (.21 posts per day). I've been playing Halo 2 with a small amount of people regularly, and we've been interested in trying to make some balance changes to the weapons, and distributing the mod amongst ourselves. Ambiguous can tweak these settings via memory editing with shared.map loaded into it, and the big thing I am trying to fix right now is the reticule position. In globals\globals.matg, there is a float value for the Y position of the reticule; it defaults to 0.1650000066, hex value is 3E28F5C3. If I set that to zero, the reticule gets moved to the center of the screen. The problem is, this has to be redone each time a shared.map is reloaded(so every time the map is switched). I tried making a cheat engine table to at least lower the amount of steps necessary to do this, and I found five total values correlating to the reticule position. Four of them are all static; when I reload shared.map, they always retain their value. When I try and change one of them to zero, they are forced back to the value of the fifth one. When I change this fifth one, the new number is then copied to the remaining four, however the address to this one changes when shared.map is reloaded. I have tried opening the fifth value in the debugger and replacing the process that writes to it with nothing. I end up with the world not updating to my movement, and I don't want to go into greater detail about the result as I think "it breaks other things" is sufficient. If I do a pointer scan, I get nothing. My issue is almost exactly the same as this person http://www.cheatengine.org/forum/viewtopic.php?t=539628 (except I am moving the reticule, as opposed to changing the FOV), but he was simply given the answer, not the process of getting to it. What I am asking is, how can I consistently change this fifth memory address in cheat engine, or make permanent changes to shared.map? For the latter, I know that hex editing is an option, but I don't know how to get the hex values I need to change out of Ambiguous' tag editor. I already tried searching for 3E28F5C3, and zero matches were found. I posted a thread first, old news. All you can really do is get a better computer. What are your specs and average framerate without FRAPS? If you have a multi-core it shouldn't make that much of an impact. It's still a rumor, though this article gives much more details on the project. Quote: Joystiq has learned that the previously rumored remake of Halo: Combat Evolved will indeed launch this holiday season for Xbox 360 with a full visual overhaul. Sources explain that the re-release is not Bungie's 2001 Xbox game simply running at a higher resolution -- it's being remade with new art assets. While Halo's audio will likely remain unaltered, the controls will allow for more recent Halo configurations. The Halo: Combat Evolved remake is allegedly being developed by New Jersey-based Saber Interactive, the company behind TimeShift and Namco's upcoming Inversion, but we've been unable to confirm the nature of the engine powering it. We understand that it's something other than the Reach engine. The Halo: Combat Evolved update, one of two Halo games currently in development under the watchful eye of 343 Industries, is expected to support 1080p resolution and 3D televisions. Details on multiplayer are supposedly still being worked out, but we understand the remake will likely feature online co-op (the original game supported two-player split-screen co-op). The game is expected to re-evolve on November 15, 2011, ten years after Halo: Combat Evolved launched alongside the Xbox. Our sources didn't know of any plans to similarly upgrade the recently disconnected Halo 2, but it's hard to imagine Microsoft playing favorites with its biggest franchise. 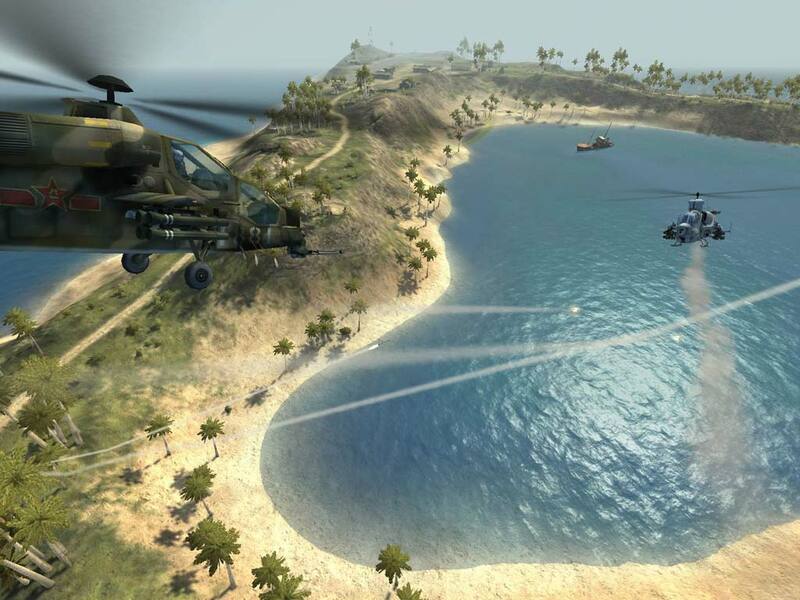 Remake wake island from Battlefield? If you can still run it on all highs, the graphics card is probably not recognized by the game. I also made a tensity remake. It's a little sloppy though, and it's still a beta. Pressing esc pauses GIFS, works for when the picture is giving you a seizure. Nope. That picture was from a live stream by someone with a poor capture card. It ran at 2 fps and lacked audio. I have a friend with a computer that lacks a DVD drive. He wants Custom Edition, and has the original disc. Aside from piracy, are there any possible alternatives to this? i just don't have time to make maps (school) AND TUTORIALS FOR MAKING CE STUFF JUST CONFUSE ME mabye grab this http://hce.halomaps.org/index.cfm?fid=1931 uncompile it or whatever you do, (ill give him and the ((un))compiler credit) and replace the (tags, ithink theyre called?) with those from cmt? Watch geometricgeek's gmax tutorial. It shouldn't be confusing at all, I learned to map through it when I was your age. I added some scenery in sapien. I modded b40, compiled it, and started it up. When I spawned, all I could see was blue, aside from the hud and weapon. I could not shoot or change weapons, similar to how I behave in a cutscene. When I change the bsp to 3, I spawn off to the side of the actual starting area, and there are no ai. What could I have done wrong to make this happen? The opening cutscene doesn't even play. The problem with the two betrayals sky is that it doesn't have a ground. I don't even think there is a Halo in the sky. The vestige sky, while lacking clouds, has a snowy ground below the level. hey guys! its me again. Im in to SP mapping/modding nowadays, so i ask this problem about switching to the 2nd part of the level. whenever i get into the ship(after the grav lift cinematic) i get an exception error. I need some help solving this problem. thx in advance! You may be better off adding snow manually. If the original a50 bsp crashes for you, then I can't help you with that. Otherwise, replace the shaders in the a50 folder with snowy ones, for example sidewinder, add b40 weather effects in the structure bsp, and give it the vestige sky. Time: Thu April 18, 2019 9:24 PM 375 ms.